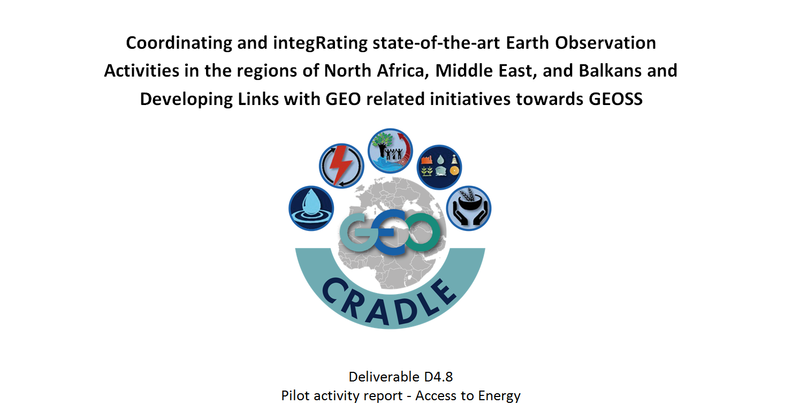 GEO-CRADLE introduced the Solar Energy Nowcasting SystEm (SENSE) pilot in order to coordinate, improve and support the regional EO infrastructures and capabilities related to ”access to energy”. The niche for this pilot is the operational, satellite-driven and real-time system for solar energy nowcasting and forecasting. SENSE was intended to be a starting point for energy related short future investments towards and beyond the implementation of GEO, GEOSS and Copernicus Energy activities and visioning innovative high-end SOLar Energy Applications (SOLEA) and technologies.